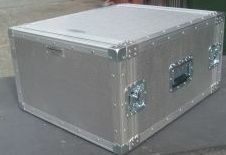 The Photographs below show a few of the wide variety of custom made roadcases available. 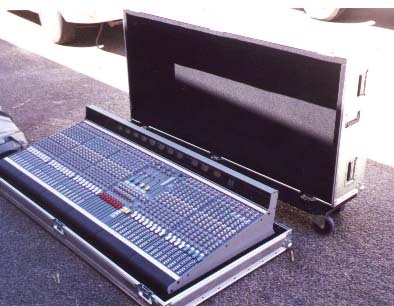 Peter Ashton will design and build a roadcase to suit your requirements. 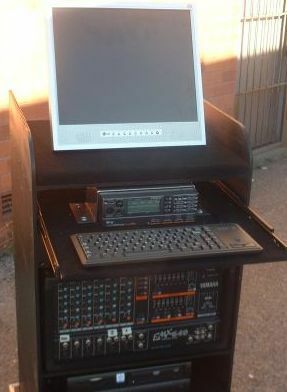 Call Peter today on 0449 696 123 for further information. 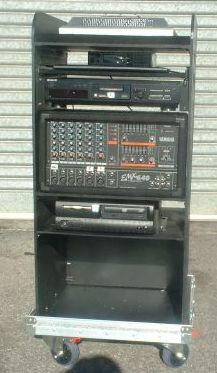 Karaoke case configured to your requirements. 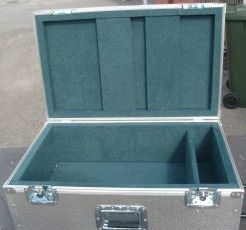 The case has a removable lid. 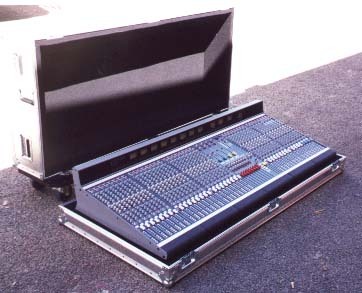 All components are permanently connected, just add power and speakers and you are ready to go in minutes. minimum floor space requirement during travel. 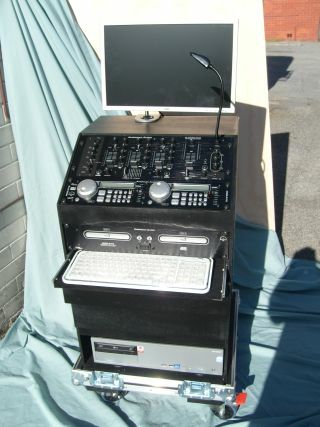 can be taken from the stores and is ready to go. 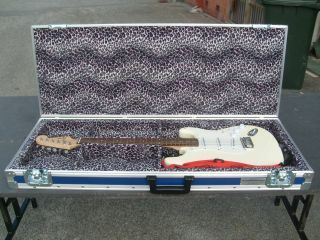 Custom built guitar case, the internal layout is designed to give maximum support to the neck and also has 2 large storage areas. 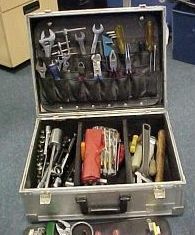 Toolcase Briefcase internal compartments can be customized for your equipment. Heavy duty recessed catches and construction gives years of service. Recessed wheels and retractable handle are available if required. 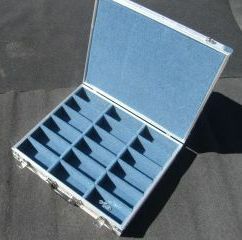 Case designed for TAFE colleges to store 18 safety glasses. 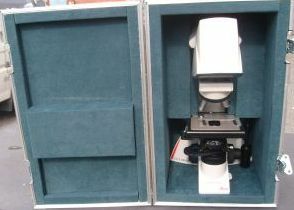 We manufacture cases for all types of medical equipment such as this microscope. 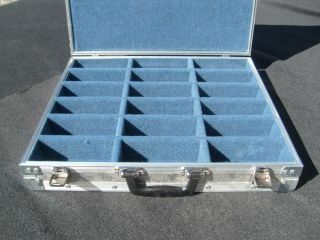 Cases are made in many styles such as the above with drawers to carry musical scores for a Symphony Orchestra. 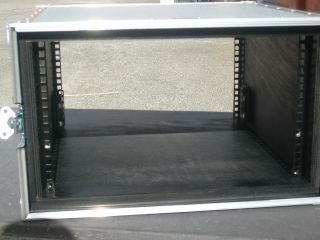 19inch Racks can be made in any size with or without 100mm castors. 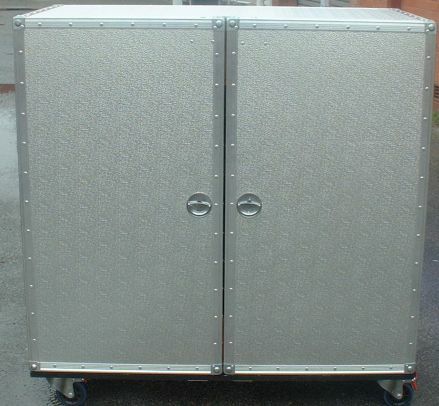 They feature removable lids front and back with racking angle fitted front and back as required. 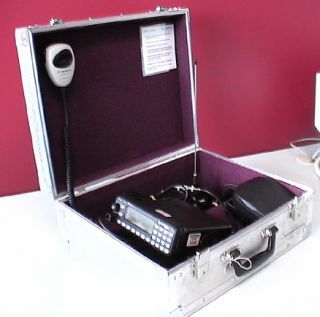 LEFT All our cases are lined with foam upholstered with either Velvet or “Frontrunner” with compartments built into the case where required and additional blocks to support the equipment. 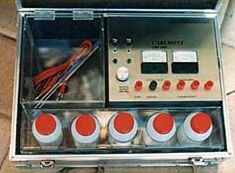 RIGHT Custom designed to suit a complete portable and self-contained electroplating system.